Infectious diseases like polio and malaria might be gone in 15 years because the founder of Microsoft devoted a foundation to eradicating them. 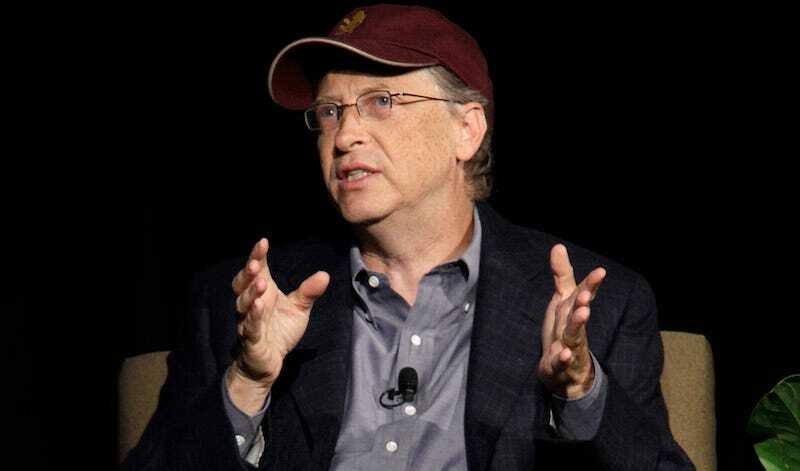 Now Bill Gates has turned his attention towards our global energy crisis, which he thinks can also be fixed with better R&D. And, yes, he’s going to fund it. While there’s no real technological equivalent to this current energy challenge, Gates says history shows that scientific results can be achieved very quickly when warranted—look at the Manhattan Project, where innovation moved incredibly fast because countries were trying to beat each other to the bomb. If only we could apply that same appetite for destruction! Gates also has some interesting thoughts on wind and photovoltaic solutions, and I highly recommend reading and watching the entire interview because it made me feel hopeful. The Bill and Melinda Gates Foundation has not only an excellent track record but some very well-connected friends. Hopefully more philanthropists will follow their lead.